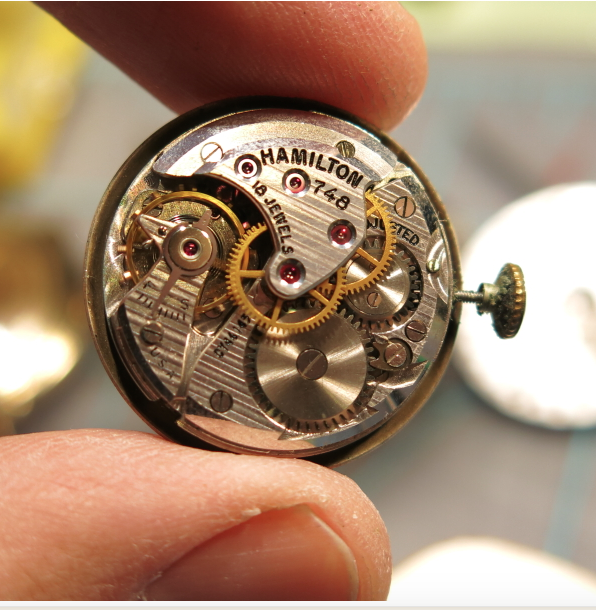 There are three different models of "Secometers" and if you tried to collect all the variations of the models you'd have a nice little Hamilton collection on your hands. Take for example the 1948 Secometer C. It was produced through 1951 with three different variations. 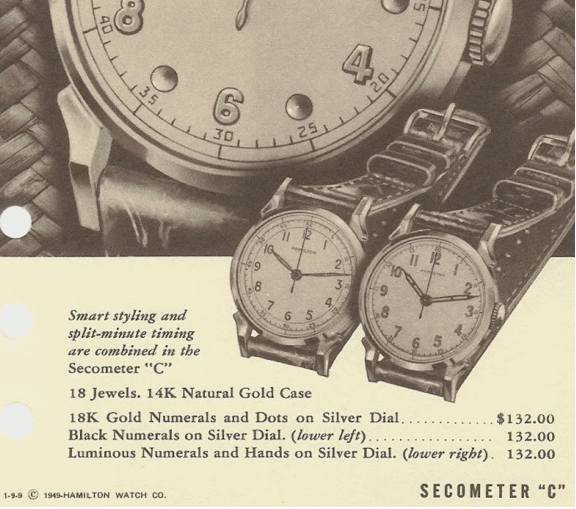 As you can see in the catalog image, the Secometer C came with three different dial and hand configurations. There's an AGN with gold dot dial, a black numeral dial and a luminous version. The AGN and black enamel dial versions use a style of hands called "leaf". 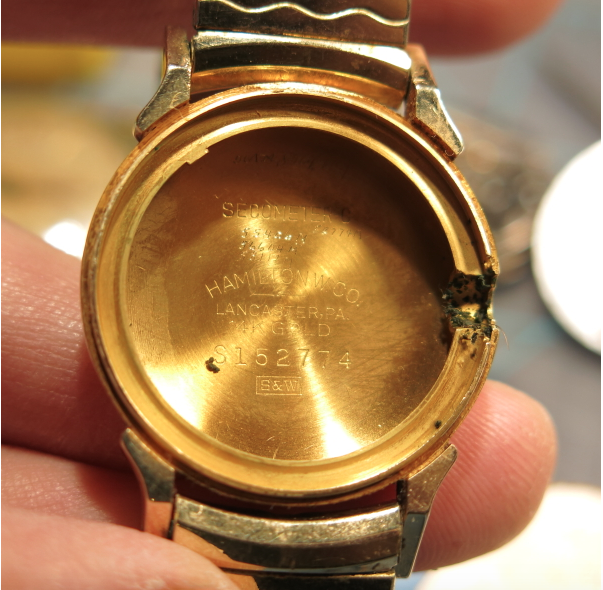 The Secometer C is different from the Secometer and Secometer B in several ways but the most important difference is the case on a Secometer C is solid 14K yellow gold. The other models are in gold filled cases. 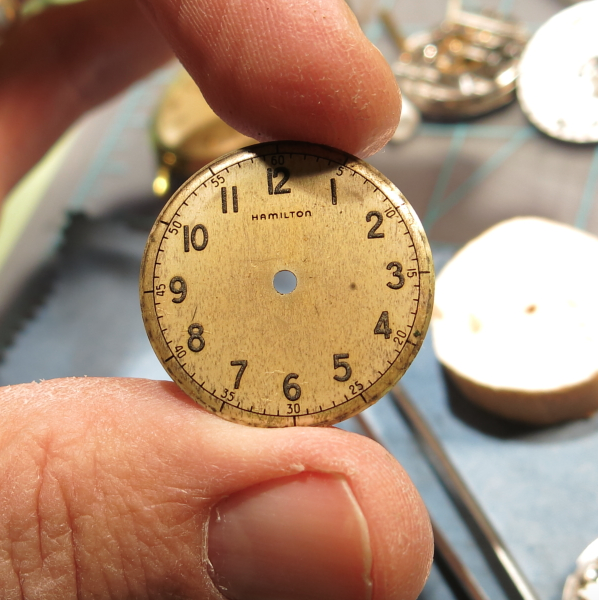 The original Secometer from 1946 used a 6/0 sized, 17 jewel 987S movement with a center sweep second hand. The 1948 Secometer B and the Secometer C both use the "new" 18 jewel 748 movement. Both the B and the C have the same dial variations. I recently received a Secometer C in need of some TLC. It's the luminous dialed version and was very dirty when I got it. The bracelet is not original. 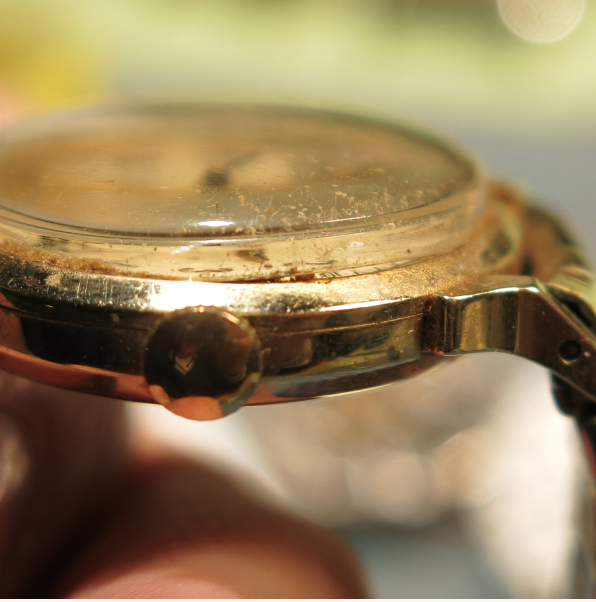 A closer inspection of the crystal revealed that it wasn't seated full to the bezel - that would explain why there was so much dust inside the crystal. The case back is fairly clean, albeit there is some funk near the stem opening. You have to really appreciate that solid gold cases never have any green verdigris. 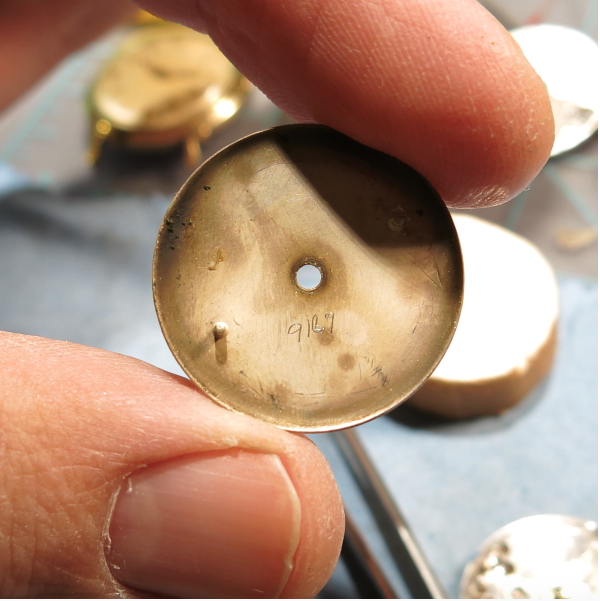 That's a easy way to spot a solid gold case over a gold filled one. The 8/0 sized 748 is a very capable movement, like it's cousin the 747. It's a challenging movement to overhaul because it has a single train bridge that accommodates four wheels at once. The wheels have long arbors so getting all four to line up at one time can be incredibly frustrating. So it's an easy movement to take apart but a real bugger to put back together. 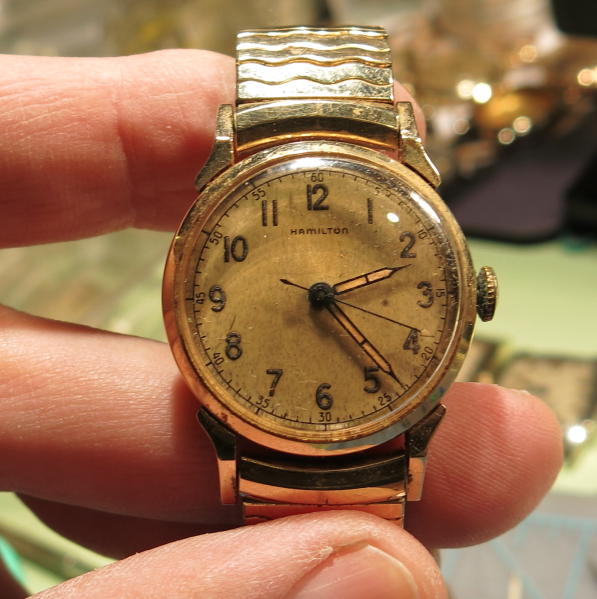 The luminous dial has long since lost it's luminous-ness but other than an age spot by the 3, I think it looks very authentic with an even patina. 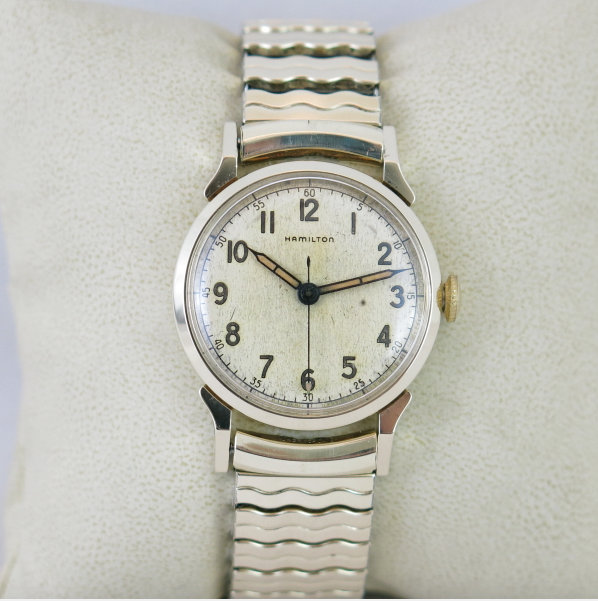 There are some numbers scratched into the back - a good sign the dial has been refinished at least once in the past 60 years. 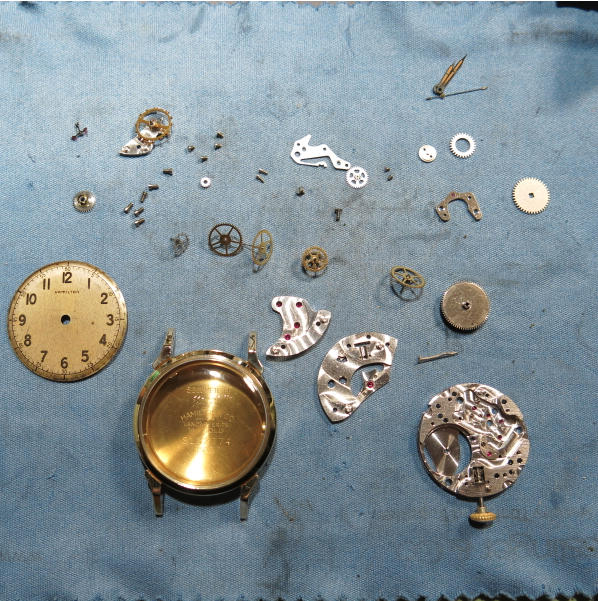 Everything get's taken apart and throughly cleaned and dried before being reassembled with fresh oil and grease. 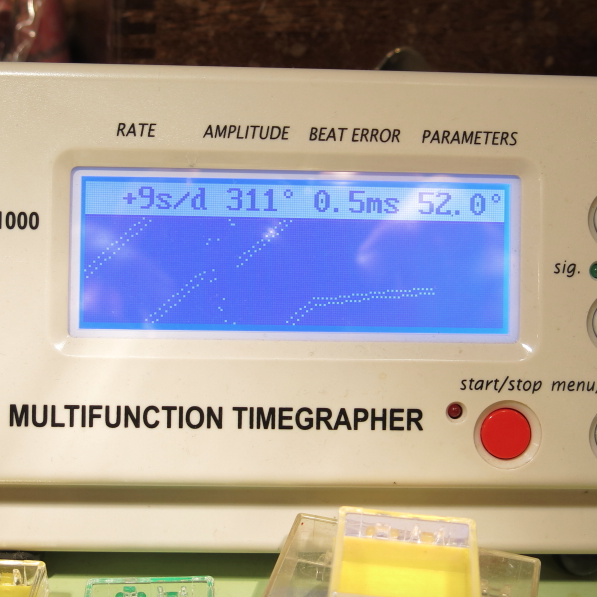 A little tweaking to the regulator brings the timing down to a reasonable 9 seconds faster per day with great amplitude (thanks to a fresh mainspring) and with a low beat error too. And here's the finished project, freshly polished with all the dirt and grime removed. I think it turned out to be a great example. 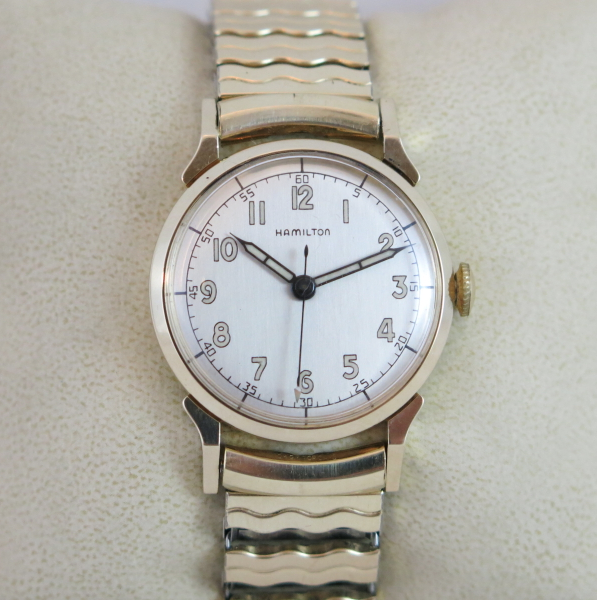 The case is sharp at the angles - which can often become rounded by over polishing. The luminous hands almost look like eyes peering back at you… don't they? I decided to get the dial redone and I think my friends at International Dial really nailed this one… what do you think?